Okay, so Father’s Day. Hands up if you find ya dad really difficult to buy for? 🙋 I know I do! So, I’ve compiled a list of super unique gifts to hopefully give you some inspiration. Think of me as your fathers day gift guide Guardian angel! Thortful actually contacted me and asked if I would consider featuring them in a post, and when I checked out their site I couldn’t say no! They specialise in cards, mostly, that are unique and quirky- all by their talented designers! However, they also specialise in things that can double up as a card and a gift. For example, they sell cards with chocolate, socks and even cake in them (well cake mix that you bake yourself). 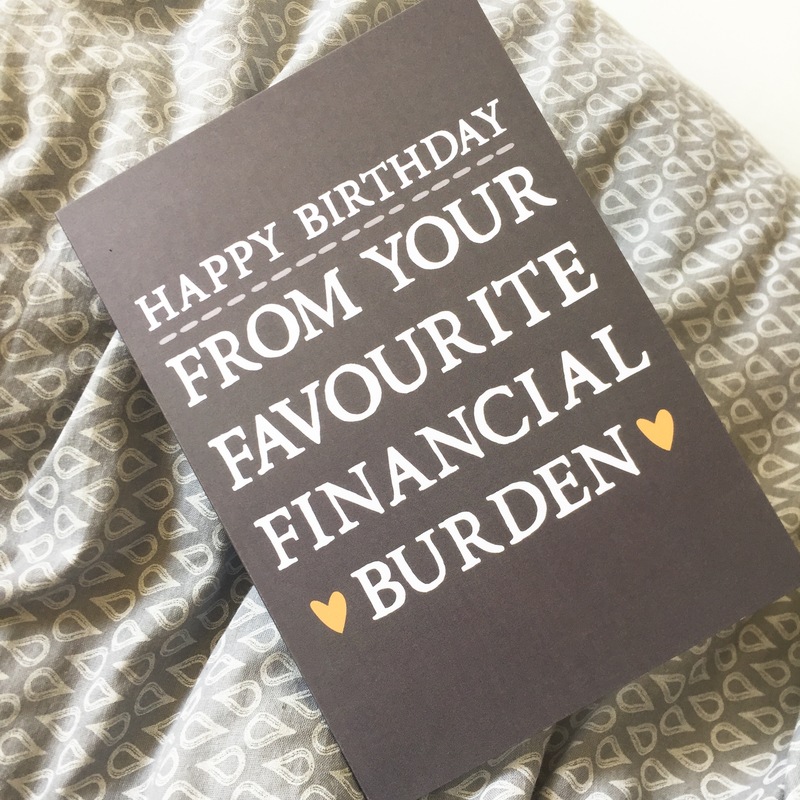 And you can send the card straight to the recipient- perfect for long distance friendships! 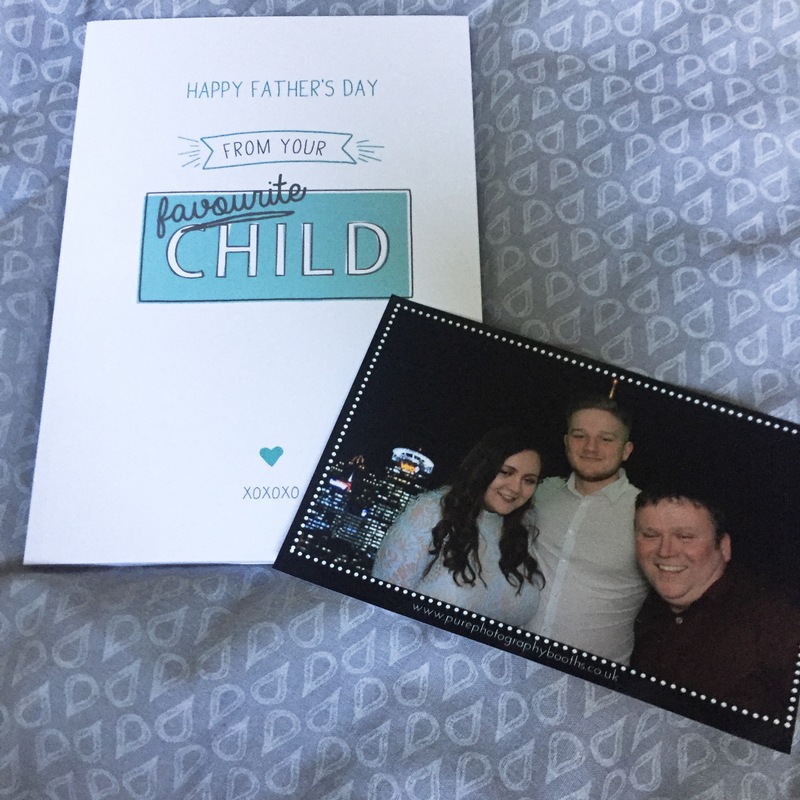 I chose to get this personalised notebook for my dad for father’s day, and I just love it! The design is quirky (and true) and the notebook feels great quality- I’m sure that he will love it! I loved it so much that I also went back and got him a birthday card as it’s his birthday soon! So true, right?! Thinking of getting your dad a gift from Thortful? Great! They gave me a code to share so that you can receive 20% off of your first order! Just enter ‘LIFETHROUGHTSG’ at the checkout! (Valid until end of May). Now, these make great gifts. They’re my go-to for my dad and brother, and with the World Cup coming up, what better time than to reminisce on a football shirt from the past! Plus, from sports direct, they’re pretty affordable too. Another firm favourite of mine when it goes to go-to gifting! My dad loves cars and knows loads of stuff about them (that I pretend to listen to) so a gift like this is perfect for him! These ones from Red Letter Days are super affordable! Who doesn’t love biscuits?! These one’s from biscuiteers are so cute and taste delicious too! Plus, the link above gets you 15% off of your first order! Firebox have some really cool and unique gifts; I’m so glad that I stumbled across their website! 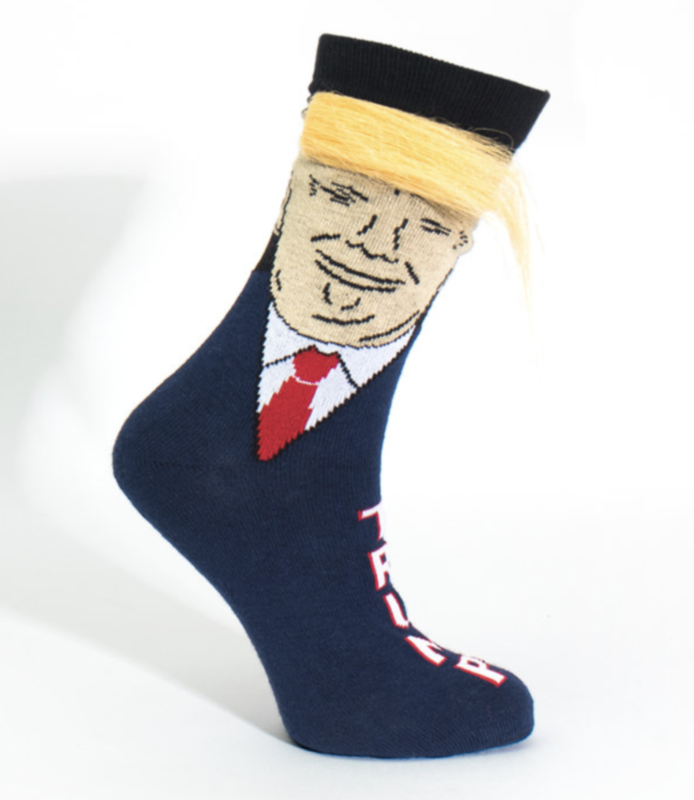 Who doesn’t want Donald Trump socks?! (Complete with 3-D hair!). The home of gadget-gifts and unusual treats; it’s Prezzybox! This site is always my go-to for when I just cannot find anything, and it’s so great for completely different gifts. I got my dad a crepe maker from here for Christmas (random), but he liked it so there we go! What are you getting your dad for Father’s Day? *Product sent in exchange for blog feature, but all opinions are my own. For more information, please see my disclaimer. Haha these are some really good gifts. My dad would have a good old laugh at these. My dad is super easy though, Chinese and a case of beer is all he needs, “as long as he’s with his two girls” he doesn’t care but I am thinking to get him something more this year! Gosh, I haven’t even thought about Father’s Day gifts yet, eek! This post was the kick that I needed to start browsing! The Thortful cards are fab, I love cards that will make the recipient chuckle and I’m sure these will fit the bill! I’ve done plenty of shopping on Prezzybox in the past and I’m always impressed with their quirky gift selection. The Donald Trump socks are absolutely brilliant, the 3D hair is such a funny idea! Thanks for all of these amazing suggestions! Previous Post Ardell Wispies Mascara; Does It Work? !